It’s September, and if you are a sports fan, that means one thing: FOOTBALL. And if you are a true football fan that means a second thing: FLATSCREEN TVS. If you are standing by your sports fanatic reputation and are in the market for a new flat screen TV in order to have the best possible football watching experience, we have some top-notch recommendations for you. Let’s break with tradition and NOT save the best for last. Let’s jump right to the LG C8. Arguably the very best OLED of its time, the LG C8 has a robust color gamut and one of the fastest response times. Two attributes that are key factors in televisions used for gaming and of course, watching sports. What we love most about this particular television for sports fans is that the picture quality is still top notch when viewed on an angle. This is an important feature for sports fans because they love to watch their favorite games with their favorite friends, their friends’ friends, and maybe even their neighbors. Basically, this flatscreen television is MEANT for large rooms and large audiences. If you’re not sold on the LG C8 or just aren’t an LG fan, you’ll want to look at the SONY XE9005. It is undoubtedly just as worthy of a sports fan’s media room as the LG C8. SONY has earned and solidified its reputation for superb motion handling. If you are not familiar with motion handling or are unsure why it is important to consider, we’ve got you covered. Motion handling literally refers to how the TV handles motion. If you watch shows, games or sports that involve a lot of motion, the ability of your television to handle that motion is important. Without good motion handling, your TV has the potential to create blur (motion blur). If you don’t want to watch streaky blurs follow your running back down the field for a 90-yard scoring rush, you want your set to have good motion handling. If you spent all of your money on some sweet 50-yard line seats this season when your home team plays their conference rival and just can’t swing a top of the line flat screen, we have a mid-range suggestion that you will find quite satisfying. The SONY X900F has the best motion handling, gray uniformity and brightness of all of the mid-range TV options available to you. In our opinion, the SONY X900F rivals some of the top-line flat screens available and at the very least offers you more bang for your buck. If you’re still scoffing at the price of the SONY X900F, our bottom of the line suggestion would be to check out the LG UK7700. Considering that the LG UK7700 is a budget flat screen, its response rate is pretty good. It also has an IPS panel which is important when viewing from angles and is rated as having excellent reflection handling which means less glare in brightly lit rooms. Overall the LGUK7700 is a great option for the budget conscious sports fans who are looking for a great all-around television. When all is said and done, there are a lot of great options in the market today for flat screens at almost every imaginable price point. 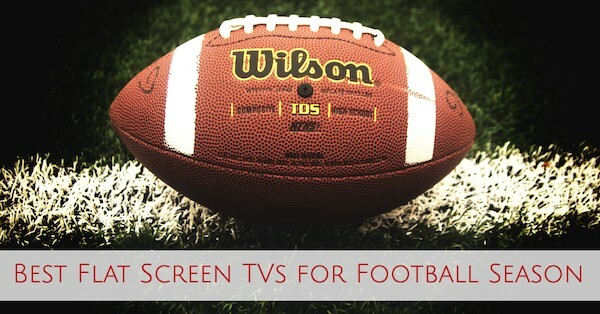 You have no excuse to still be watching the big game on a big ole tube TV.